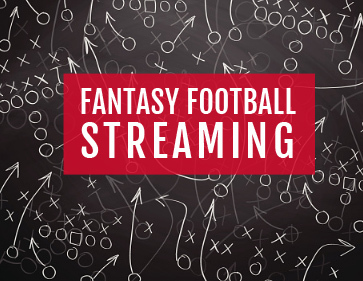 The concept of streaming certain positions in fantasy football has grown increasingly popular in recent years, with team defense typically seeing the most application of the principle. For those new to the idea, streaming focuses almost entirely on weekly matchups, with little consideration for the long-term outlook on a given player. This plays particularly well for defenses since the opponent has such a direct impact on the potential to accumulate fantasy points. But streaming also translates to any single-starter position in standard leagues, like quarterback and tight end, since the depth and relative availability of those spots compared to running backs and wide receivers creates greater week-to-week flexibility. Throughout the upcoming season, Gridiron Experts will provide weekly insights on lesser-owned quarterbacks, tight ends, and defenses that can put your team over the top in its fantasy matchup. And what better time to start than Week 1! 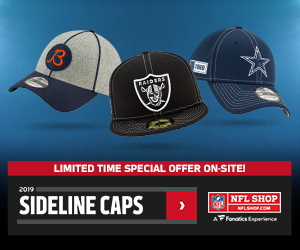 Maybe you took a draft-day chance on a player that isn’t going to suit up on the opening weekend (Hello, Andrew Luck), or perhaps you punted the defense and kicker position at the end of your draft and need to make adjustments on the fly. Regardless of the reason, we have you covered as the opening kickoff of 2017 approaches. The following are some of the lesser-owned quarterbacks, tight ends, and defenses that can you’re your fantasy team in Week 1. Ownership percentages noted are representative of ESPN standard leagues. The New York Jets are going to be a popular opponent for streaming purposes this season and the Bills get the first crack at them in Week 1. New York has the potential to be an epically-bad offense, led by either 38-year-old journeyman Josh McCown or second-year pro-Christian Hackenberg, who has looked beyond atrocious in the preseason. The dearth of quality talent at the other skill positions makes you wonder how the Jets are going to score points this season and turnovers should be easy to come by. 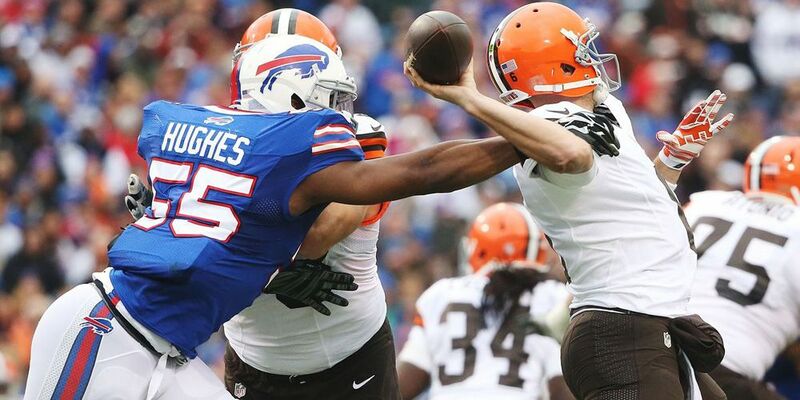 Buffalo will have a new identity on defense in 2016, with the arrival of former Panthers defensive coordinator Sean McDermott as head coach, and this unit should be active and disruptive during the first weekend of the season. Mike Glennon continues to project as the Bears starting quarterback in Week 1, and that’s a good thing for the prospects of Atlanta’s defense. Chicago’s signal-caller is completing just 57.7% of his passes through two preseason games and has two interceptions on 26 attempts, as he has regularly tried to force the ball into tight coverage. The Bears will surely try to lean heavily on their running game, but with Matt Ryan and company favored by a touchdown in a game with one of the higher Vegas totals of the opening weekend, Glennon will likely be forced into heavy usage in the second half. The Falcons should be able to pin their ears back on the blitz and will have ample opportunities for turnovers, making this unit a sneaky fantasy option to start the season. 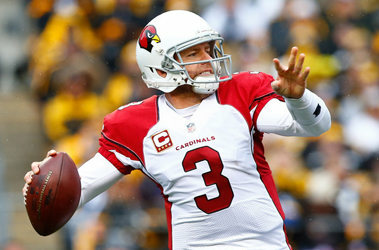 Following a MVP-caliber season in 2015, when he threw for 4,671 yards and 35 touchdowns, Palmer took a big step back last year and he’s generally fallen off the fantasy radar, currently being selected in the thirteenth round as a back-end QB2. But the Cardinals have been one of the top offenses in the NFL since Bruce Arians took over in 2013, and Palmer threw for multiple touchdowns in six of his last seven games last season. He’ll kick off the 2017 campaign against a Lions defense that gave up the fifth-most fantasy points to opposing quarterbacks a year ago, including 33 passing touchdowns, second-worst in the league. In a matchup projected for 47.5 to 48.5 total points by Las Vegas, Palmer makes for a viable fantasy option, and one that can be drafted after the rest of your projected starters (and even a few backups) are already in place. While he didn’t set the fantasy world on fire in 2016, Bradford had the best season of his career, passing for 3,877 yards and 20 touchdowns against just five interceptions. As the Vikings embark on their first Adrian Peterson-less season since 2006, the offensive focus is expectedly going to be different. And with Pat Shurmur enjoying a full offseason as offensive coordinator – he took over the role from Norv Turner in November of last year – the needle is pointing up on Bradford’s potential. But perhaps the most appealing thing about his candidacy as a Week 1 streamer is a date with a New Orleans defense that allowed the most passing yards in the league last season. With Minnesota fighting to keep pace with Drew Brees and the Saints offense, there should be plenty of counting stats to go around for both teams. Rookie tight ends are notoriously difficult to depend on in the NFL (and therefore in fantasy, as well), but the uber-athletic Engram is likely to be utilized all over the field in a pass-happy Giants offense. The coaching staff has already talked about working their first-round draft pick into different formations as a receiver and even at fullback, opening the door for more opportunities. Engram will surely have ups and downs this season, and he’s fighting for targets behind Odell Beckham, Brandon Marshall, and Sterling Shepard, but I expect the Giants to get the rookie involved early in a Week 1 matchup with a Dallas defense that gave up the most receptions and receiving yards to opposing tight ends in 2016. He’s practically free in fantasy drafts right now, but offers nice streaming potential to kick off the new season. McDonald has only been a Steeler a little over a week, but he offers the team a play-making option that they have been lacking at tight end since Heath Miller retired following the 2015 season. While Jesse James is a huge human being and a decent red-zone target, McDonald has superior athleticism and finds himself on a Pittsburgh team that has always loved utilizing the tight end position. Ben Roethlisberger focused on the position extensively during the Steelers playoff run last year and Pittsburgh will look to get its new weapon involved as soon as possible. A matchup with a Cleveland defense that allowed a league-leading 13 touchdowns to tight ends in 2016 offers the potential for a promising start to McDonald’s tenure with the Steelers.